As Vice Chairman at Prophet Equity, Mr. Bourgeois is focused on identifying and building relationships with potential Limited Partners and working to advise the Funds on their investment strategies. Prior to this role, Mr. Bourgeois was the global head of investor engagement at the Abraaj Group for 18 months. Mark has been engaged in private markets for over 20 years, including roles as the CEO/President at Atlantic-Pacific Capital; the Global Head of Distribution and Chief Executive Officer of The Americas for Credit Suisse Asset Asset Management; Managing Director and Co-Head of Global Institutional Distribution at Lehman Brothers Asset Management; and helping create and lead the UBS Private Funds Group where he was a Managing Director at UBS Investment Bank. Mr. Bourgeois has led the raising of over $150 billion of new assets for private equity, hedge funds, infrastructure/real assets and non-investment grade credit across 200+ individual funds. 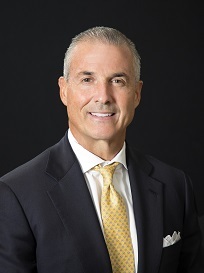 Earlier in his career, Mark was a successful operating executive in the pharmaceutical industry having worked in various roles building and managing sales forces at Sandoz Pharmaceuticals and Warner Lambert for 13 years. Mr. Bourgeois holds an M.B.A. from the University of Phoenix and a B.A. from Tennessee Temple University.